This seafood risotto recipe is infused with a number of fresh herbs, imparting remarkable flavour into the risotto rice base. Shaun Rankin uses scallops, prawns and mussels to make up the risotto but you can use whatever seafood that is in season and you like. 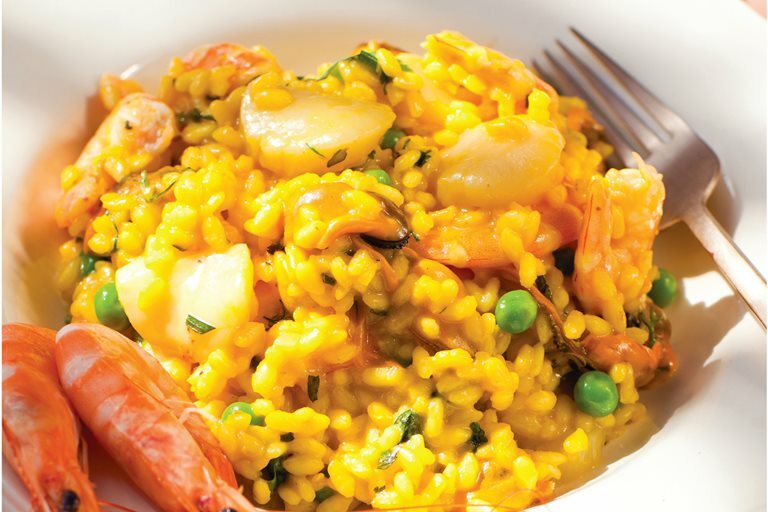 Serve this risotto alongside a salad for a delicious seafood supper.